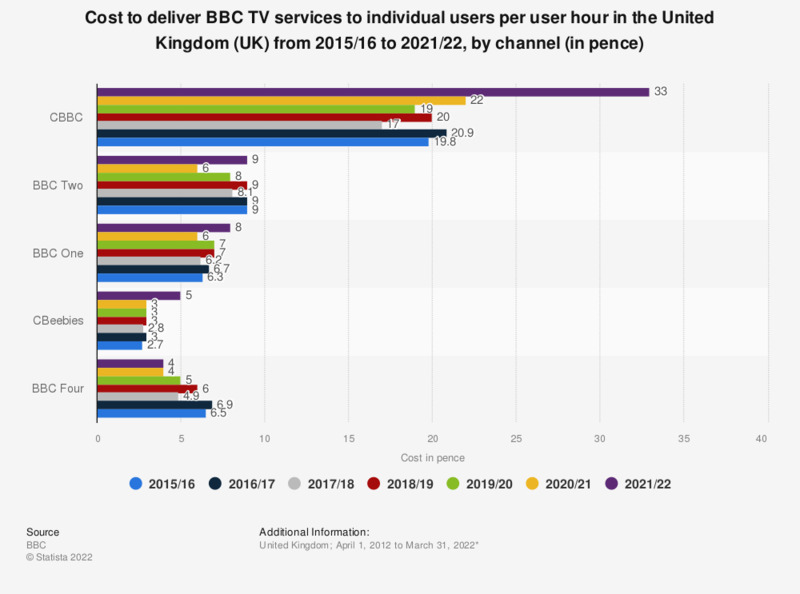 This statistic displays the production cost per user hour of BBC TV channels in the United Kingdom from fiscal year 2015/16 to 2016/17. In the fiscal year ending March 31, 2018, CBBC cost 17 pence per user hour to produce that year and was the most expensive TV channel. Data for year prior to 2016/17 were published in earlier by the source. ** BBC Three ceased operations in 2016.